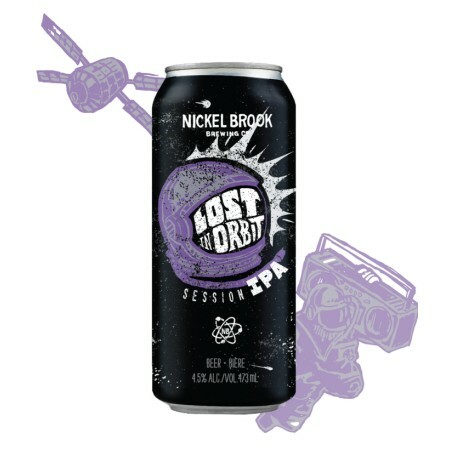 BURLINGTON, ON – Nickel Brook Brewing has announced that its newest beer is launching this week. What happens when you spend too much time in space? You start to feel weightless, of course. We blasted a New England IPA into the Stratosphere and when it finally came down, it was practically floating. Crisp and crushable, but packed with tons of dry-hopped citrus hop aromas and juicy hazeboi flavour, this is the perfect Session IPA for passing the time while drifting through the final frontier. Lost in Orbit is shipping now to LCBO stores across Ontario, and it will also be on tap at the Duke Pubs in Toronto and other select beer bars.